It's a feeling that the practitioner often gets, because he is not confident with the way he looks. Not all of the time but still it is something he has to endure. And he enjoys baking and eating, therefore, combined them together. The shot is framed so he appears cornered. He is fond of corners. He is only wearing his underwear. It is appalling. The title itself is in loop. A circle of commands. More like advice. 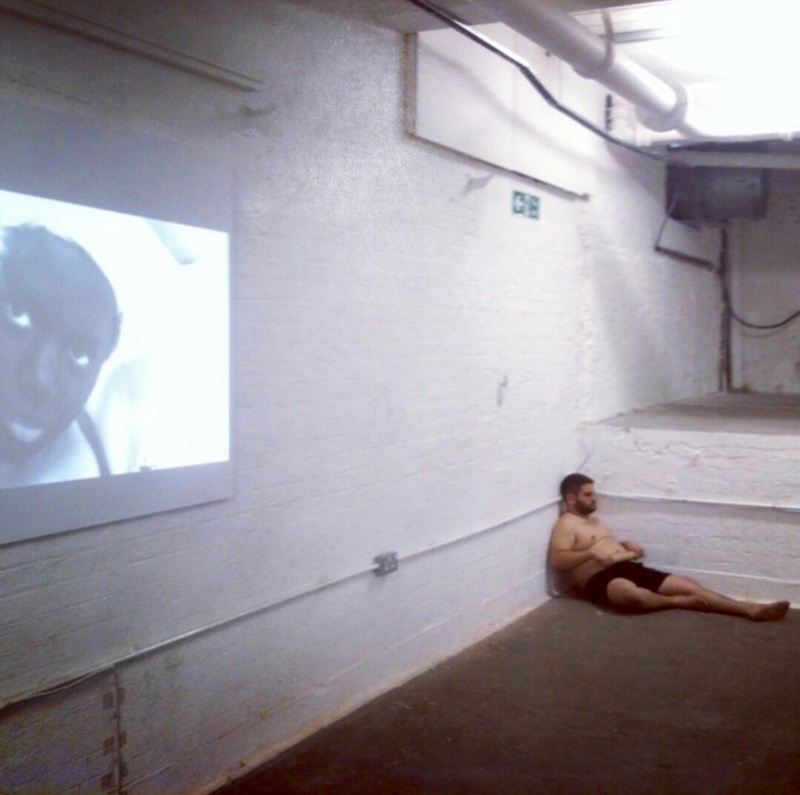 The piece was later performed live for two and a half hours at the Old Truman Brewery, London in June 2014. Photographs by the artist and David Kefford. 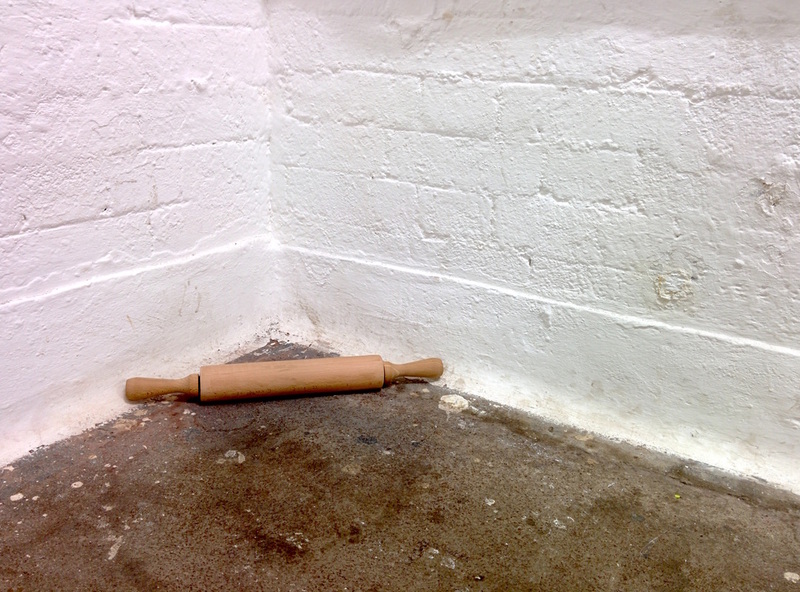 From 'Departure -Free Range' Degree Show at The Old Truman Brewery, London.